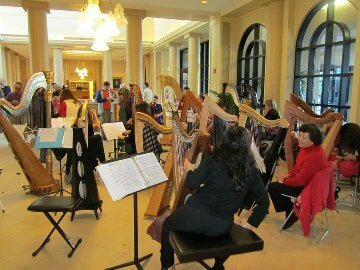 The Los Angeles Chapter of the American Harp Society (AHS-LA) enjoys presenting events of interest to our membership (such as concerts, masterclasses, lectures and workshops). Read about some of our past events. If you would like to present an event (concert, masterclass, lecture, workshop, etc.) under the aegis of AHS-LA, please fill in the following form. Thank you for your interest!